This major new work of channeled literature shows readers how to develop their own intuitive abilities and continues the program of self-development begun in Paul Selig's popular previous book, I Am the Word. 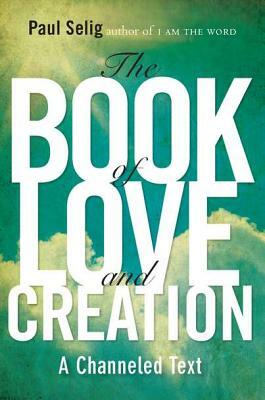 The Book of Love and Creation simultaneously helps readers develop as spiritual beings within, while growing into increasingly capable, resilient, and confident individuals amid the demands of outer life. Filled with meditations, exercises, psychological insights, and affirmations, The Book of Love and Creation immediately produces change in the life of every dedicated person who approaches it. Perfect for returning readers and newcomers alike, the book is an extraordinary experience in a new body of channeled wisdom that is attracting readers across the world. PAUL SELIG is a writer, teacher and medium. A spiritual experience in 1987 left him clairvoyant, and he maintains a private practice as an intuitive and channel in New York City, where he has led channeled energy groups for almost twenty years. Also a noted playwright and educator, Paul directs the Master of Fine Arts in Creative Writing Program at Goddard College and teaches at New York University’s Tisch School of the Arts. “Through his clear, compassionate, and at times ruthlessly insightful spiritual guides, Paul Selig has written a breathtaking and powerful treatise on the importance of self worth to spiritual knowing. However, this is no armchair new age philosophy. It is a transformational manual dedicated to making this essential knowing accessible. I found this to be one of the most powerful and influential books I have ever read."